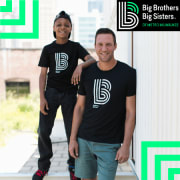 Big Brothers Big Sisters of Metro Milwaukee is in need of volunteers who are interested in Defending the Potential of youth in our community through one-to-one, professionally supported mentoring relationships. In our Community-based Mentoring, a volunteer mentor spends time weekly with a local youth. Our volunteers (Bigs) meet with a child (Little) 3-4 times a month. Activities vary and can include things like playing sports, helping with homework or visiting a local museum together. We provide over 80 FREE group activities in collaboration with community partners through our REACH Program. Sign up at www.bbbsmilwaukee.org/volunteer or call 414-831-4563.